For over 30 years, Innovation Products, Inc. has been the leading technical Sales Agency serving Southern California, noted for its ability to identify and close new business opportunities in the OEM & End-User market segments. 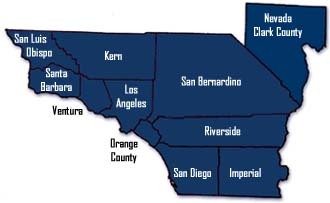 Our territory includes Imperial, Los Angeles, Orange, San Luis Obispo, Santa Barbara, San Bernardino, San Diego, Riverside, and Ventura counties as well as Clark County Nevada. Live product support from 8:00AM to 5:00PM PST (Voicemail after hours). Located in Riverside, 50 miles from LA and 80 miles from San Diego. September 27-28 in Santa Ana, CA. A 32 hour IR training course to help current & prospective customers become more proficient in the basic use and applications of thermal imagers. A 4 Hour hands-on workshop led by Fluke Representatives to help customers learn standard operations of thermal imagers. Behlman's P1350 AC Power Supply / Frequency Converter / Inverter, delivers 1350 VA of clean, regulated AC power in a 3.5" high bench top unit, that easily converts to rack mount for far less cost than competitive models. Fluke's CLV IR Window provides a heightened level of arc flash protection during IR inspections of low voltage equipment up to 600V. Fluke CLV IR Windows are available in a 3 inch diameter and are UL50V and UL1558 certified. Innovation Products, Inc. is a proud member of the Manufacturer's Agents National Association. Copyright © Innovation Products, Inc.